Major efforts are being made to bring back Zahidul Islam Mizan alias Boma Mizan, a JMB militant with a bounty of Tk 5 lakh on his head, from India. An appeal letter has already been sent to India seeking handing over of Boma Mizan to Bangladesh police. Police headquarters sources said the letter was sent as per the extradition treaty between the two countries. On February 13, 2014, some activists of Jama’atul Mujahideen Bangladesh (JMB) attacked a prison van and snatched three convicted militants, including Boma Mizan, at Trishal in Mymensingh while they were being taken to Mymensingh jail from Kashimpur prison in Gazipur. Police constable Atiqul Islam was killed and several others were wounded in the attack. The next day, one of the three militants, Raqibul, was caught and killed in an ‘encounter’ with police. The two others, Mizan and Saleheen, went into hiding and reportedly left the country. Since then, law enforcers had been looking for them. According to media reports, Indian intelligence National Investigation Agency (NIA) personnel arrested Boma Mizan from Bengaluru in India on August 6. 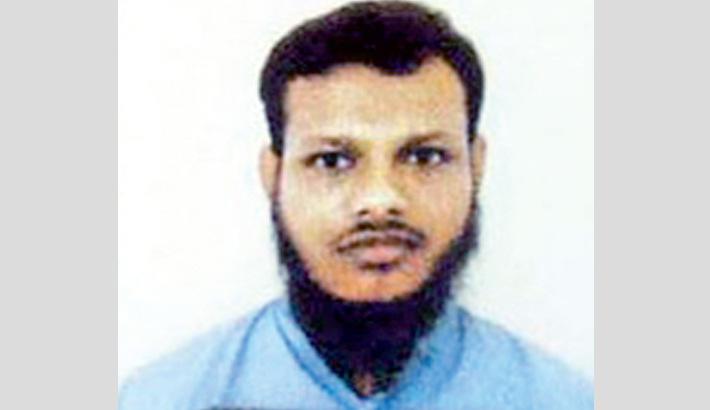 They detained Mizan for his involvement in Bihar’s Bodh Gaya explosion, NIA said. A team of NIA arrested him during a raid on his Ramanagara house near Bengaluru. “Some electronic devices and traces of explosives were seized from his house,” NIA spokesman Alok Mittal said at the time. The official further said Mizan is a top leader of JMB in India. He was wanted in the 2014 Burdwan blast case and in many other cases in Bangladesh. He is the mastermind of the Bodh Gaya blast near Kalachakra Maidan. The officer said Mustafizur Rahman alias Shahin, one his of aides, had arranged and assembled all the explosives for the incident at Mizan’s directive. A low-intensity bomb blast took place near Kalchakra ground in Bodh Gaya on January 19 when Tibetan spiritual leader the Dalai Lama was present in town. A couple of crude bombs and a large quantity of explosives were also recovered from the place. Mizan was produced before a special NIA court in Bengaluru that sent him to a five-day transit remand. Through Interpol, a notice has also been sent to Indian police about Boma Mizan and Saleheen. As per Indian NIA, Boma Mizan was involved in making a unit of JMB in India. He is also main accused in Khagra Ghat bomb explosion. He is now in NIA custody in India. According to the Police headquarters, through Bangladesh foreign ministry, a letter has recently been sent to Indian foreign ministry, seeking ‘Boma Mizan’. Through the Indian foreign ministry, the Indian intelligent branch NIA was also informed about him, sources said. But no formal information is available about it. But NIA has reportedly informed the Bangladeshi intelligence branches that they can come to India to talk to Mizan anytime if they think. Home Minister Asaduzzaman Khan recently said the deadly JMB bomber, Zahidul Islam alias ‘Boma Mizan’, who was held by India National Investigation Agency (NIA), will be extradited to Bangladesh soon. “As Bangladesh has Extradition Treaty with India, Mizan will be brought back under that agreement,” he said while talking to media at his residence in Tajgaon. Quoting sources, the Times of India report said Mizan had visited Malappuram several times and made the arrangements for the stay of other accused. He is an expert in bomb-making. NIA has recovered circuits for making bombs, explosives, diagram, laptops and mobile phones. The blast in Bodh Gaya was believed to be in retaliation for the killings of Rohingya Muslims by the Buddhists in Myanmar. On February 24, 2014, Bangladesh police announced a bounty of Tk 5 lakh for capturing each of the two top JMB leaders- ‘Boma Mizan’ and Saleheen.